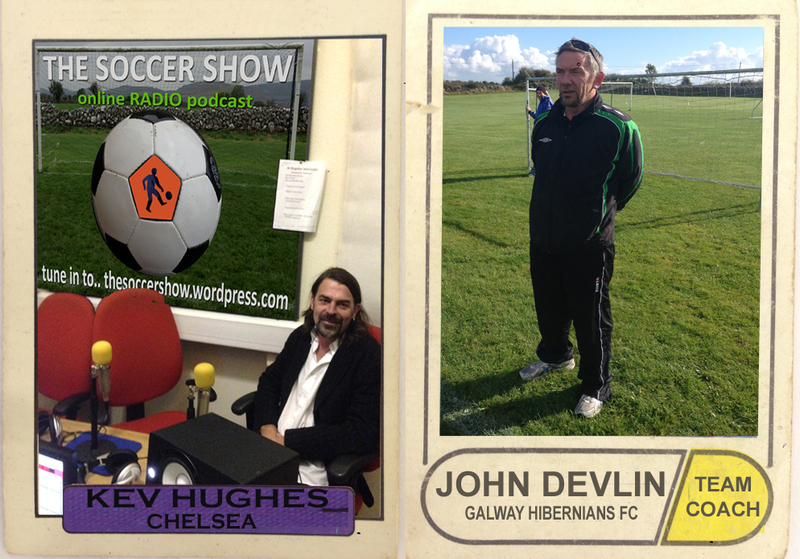 The Soccer Show 34 – Thurs 23 Oct 2014 feat Galway Hibs Coach John Devlin and DJ Producer Kevin Hughes. Presented by Gerry Mulkerrins, Eoin Knowles ,Pat Neary, Kieran Brehoney with reporters Patrick Dooley and Pearl Mulkerrins. Music from Roddy McDevitt, Mr Vegas , Donna Summer, Mike Griffin & Forget Mondays . Live from the GRETB Studio, Ireland. Tags: football, galway, ireland, radio show, soccer | Permalink.